Following a conversation between WSAA Secretary Peter Horbury and Cloughton Rock Anglers Secretary Peter Halder prior to the 2015 - 2016 Season. ​Peter Halder suggested reinstating an old traditional inter club match, Whitby Sea Anglers Assoc V Cloughton Rock Anglers. ​20. Pete Halder has also been in touch. He indicated there used to be an inter club match some years ago, don’t know if any member can confirm this? Anyway he is proposing we have a match in January when there are no opens. A Sunday day match, suggesting each club puts £40 in to a kitty plus a nominal match fee, say £5 hosted by each club on alternate years with some hot food etc after the weigh-in. An all in all out Heaviest Fish & Heaviest Bag match. ​It was confirmed by Chairman William Atkinson such a match took place. ​Later discussed in Any Other Business, Point 6. ​6. Secretary Peter Horbury recounted the meeting with Peter Halder, Secretary of Cloughton Rock Angling Club. It was proposed to bring back the inter club event, at a time of year when there were no Open matches, say January. Each club would put a nominal figure, say £40 into a kitty, with a £5/angler entry fee for an all in all out Heaviest Fish / Heaviest Bag Match. Hosted on alternate years, with the hosts laying on some hospitality/food afterwards. Seeing how WSAA were having their AGM first, Peter Horbury was to put it to WSAA before Peter Halder could put it to their members should we wish to continue with the proposal. It needn’t be a club match but would be better if it were for both clubs. It was up to members. ​ Members embraced the match and awaited the outcome of Cloughton Rock Anglers AGM. Peter Halder confirmed members of Cloughton Rock Anglers also embraced the idea at their AGM. The first match would take place in the New Year 2016, when no open matches are generally fished. ​It was also agreed it would not clash with the annual Bell Trophy. ​Note:- The match is strictly for fully paid up members of either club. The first match to be hosted by WSAA, with Cloughton Rock Anglers picking the date. The date of the Bell Trophy has been decided Sunday 24th January 2016 and Peter Halder, will be meeting with Cloughton Rock Anglers members to decide a date for the first match this coming Thursday 7th Jan 2016. After the weigh-in Wed 6th Jan 2016 members met and discussed a boundary. ​Cowbar steel - Landing scaur Robin Hood's Bay. Both clubs will be contributing £50 to the prize fund. 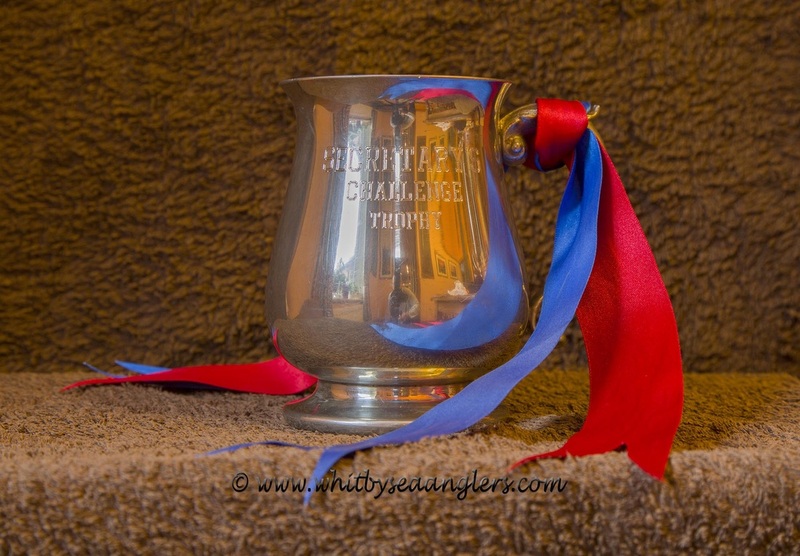 Winner of the Secretary's Challenge Trophy will be the Team with the highest aggregate. Many thanks to our Chairman William Atkinson for sharing his personal notes & records. Both by Peter Horbury fishing from Hayburn Wyke.